self-unloading with conveying screw driven by the cardan shaft or by the hydraulic system of the tractor or by an electric motor-reducer. They allow the transportation and transfer of grapes directly from the vineyard to the winery without further passages inside conveyors. 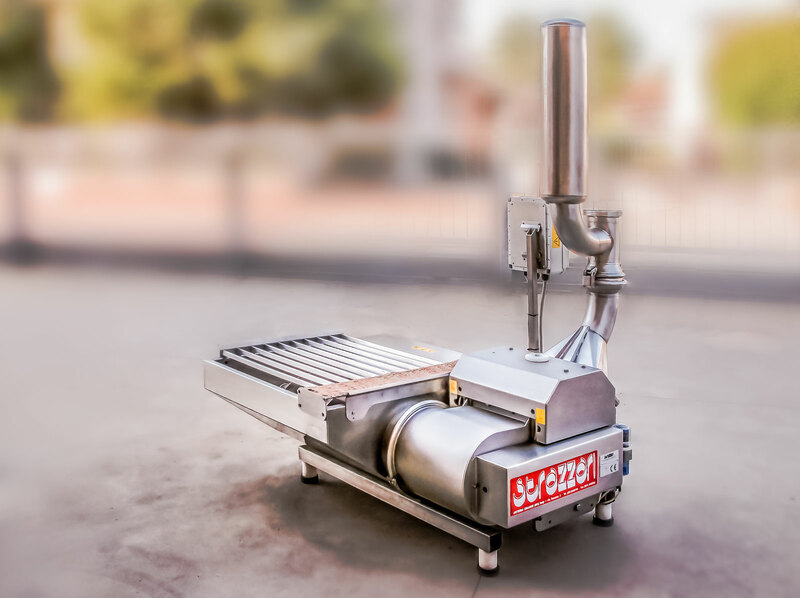 Built entirely in stainless steel AISI 304, except drawbar and axle, they are available in different capacities and with various discharge systems. Approval for road circulation. Grape trailer with hermetically sealed lid, hydraulically operated, for transporting of machine-harvested grapes, it avoids product loss. 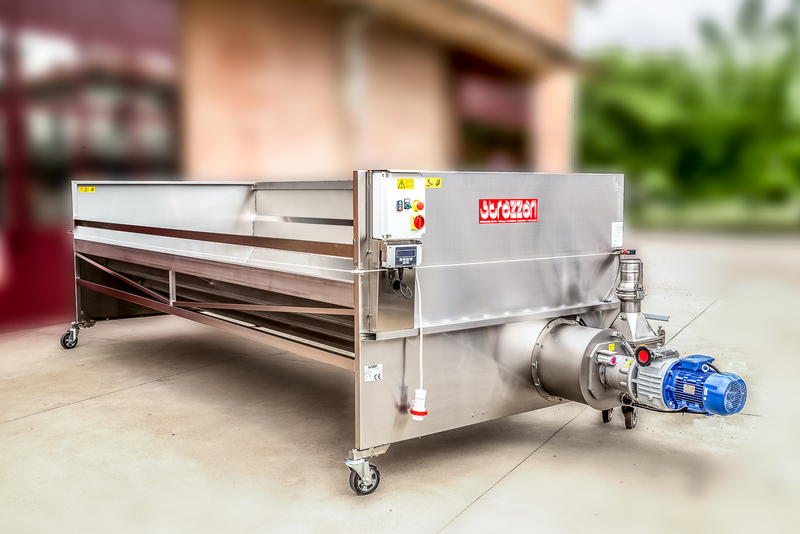 Strazzari produces Grape receiving hoppers of any size, both to be placed above ground, without the need for holes and masonry, and to be buried, for large dimensions. They are entirely built in stainless steel AISI 304, satin finish and tig welding for a perfect seal, supporting structure in tubular stainless steel of large section to ensure the hopper is perfectly stable during the tipper discharge phase. The particular asymmetric inclination of the walls makes the descent of the product highly effective and prevents formation of the bridge on the cochlea. 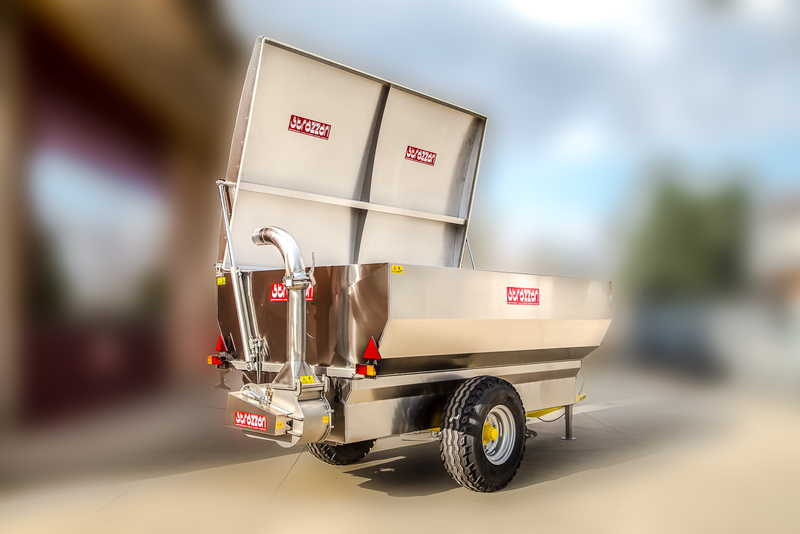 To facilitate the "weighing" phase of the loaded product, the hoppers can be equipped with electronic weighing with display. - T4 cochlea with discharge opening fitted with a door for airtight closing, manual, electric or hydraulic opening. Elliptical rotor pumps for grapes and marc G6 - G8 - G7.